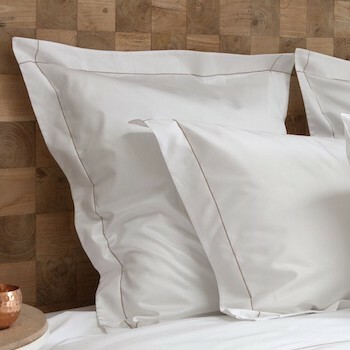 Our standard size pillowcase set (of 2) comes with a single row of caramel coloured chain stitch detail adding that extra touch of elegance to your bed. 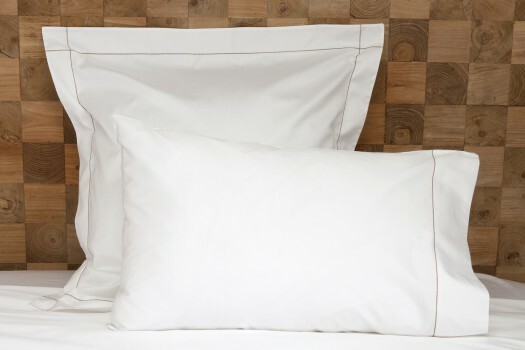 Coming in a 600 thread count 100% Egyptian cotton with one line of chain stitch detailing towards the edge of the pillowcase this desgin and cotton ensures you get the best nights sleep. Tremiti´s timeless design is the ultimate in discreet luxe, it drapes beautifully, has an elegant sheen and softens with every wash only improving with age. 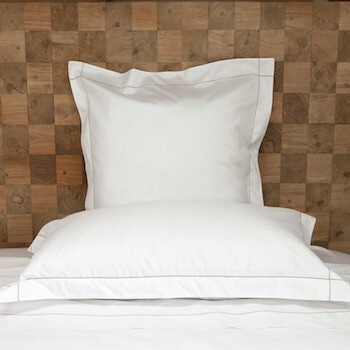 Complete with look by adding the matching quilt cover or sheet set to capture the collection’s Mediterranean style and make your bed the focal point of the room.